Gabe Huggins Jr., son of the late Gabe Huggins Sr. and Lillie Mae Wright entered into eternal rest on Saturday, March 24, 2019 at Pruitt Health of North Augusta, South Carolina. He was born on February 15, 1947 in Orangeburg County. 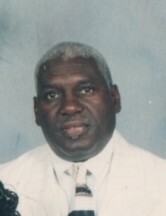 He was a class leader, steward and Trustee of Good Hope AME Church. He was a faithful member of Good Hope AME Church until his health declined where he served as a class leader, steward and trustee. After graduating Northfield High School in 1964 he then moved to New York where met his wife Shelia. They returned to South Carolina in 1970. To this union, two children were born. He was employed with USPS for a period of time. He then was employed by Savannah River Site for 40 years until his death declined. He was preceded in death by Maedel Huggins. He leaves to cherish fond memories her two children, Ramon (Carolyn) Huggins and Latricia (Michelle) Huggins of Norway, SC; six grandchildren, Devonte Chapman of Alabama, Devante Huggins of Orangeburg, Nitaren Chatman, Tarhiem Chatman, Antwane Felder of Orangebug, Daisha Walker of Orangeburg; a neice, Denise Nicole Youmans; a nephew, Charles Horton Jr.; a sister, Effie Mae Youmans; two grand-neices/nephews, Emiy and Emaudre Mitchell; an aunt, Annie Mae Aarons of Brooklyn, New York and a host of God-children, nieces, nephews and an abundance of other loving friends and family. The viewing will take place on Friday, March 29, 2019 at Glover's Funeral Home from 3:00pm until 8:00pm. The service will be held on Saturday, March 30, 2019 at Good Hope African Methodist Episcopal Church located at 1849 Carver School Road in Cape, South Carolina 29038 at 11:00am.